Do you come home from a hot day here in Birmingham and want to cool off your home as soon as possible? We understand the feeling but cranking your thermostat down to a super low temperature won’t actually help your home cool off faster. It’s a common misconception, but this isn’t how your thermostat works. Even if you have your thermostat set to 32° it’s still going to blow at the same strength as if it was set to 70°. The only difference is that your air conditioner with continue to cool your home until it reaches that 32° temperature. This is energy inefficient and impractical. You’ll have to just set your thermostat to a mild temperature and wait for your home to cool. If the idea of sitting in a home with an uncomfortable temperature while it cools isn’t appealing to you we understand and we have a solution. Upgrade to a smart thermostat. A smart thermostat will learn your cooling habits and come to anticipate your needs. It also gives you the option to set your thermostat remotely meaning that you can begin cooling your home before you arrive home for the day. If you haven’t already made the switch, consider upgrading today. When was the last time you changed your air filter? This is one aspect of your HVAC system that you have complete control over. Your air filter should be changed every few months. If you notice that you have low airflow, high amounts of dust, respiratory issues, or high energy bills, a dirty air filter might be your issue. Make your air filters a priority. Set a reminder and make sure you replace or clean your filter regularly this year. 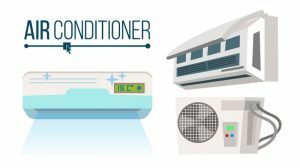 If you want to get the most from your air conditioning system, then sign up today. If you’re looking for great air conditioning services, contact Douglas Cooling & Heating to schedule an appointment today.